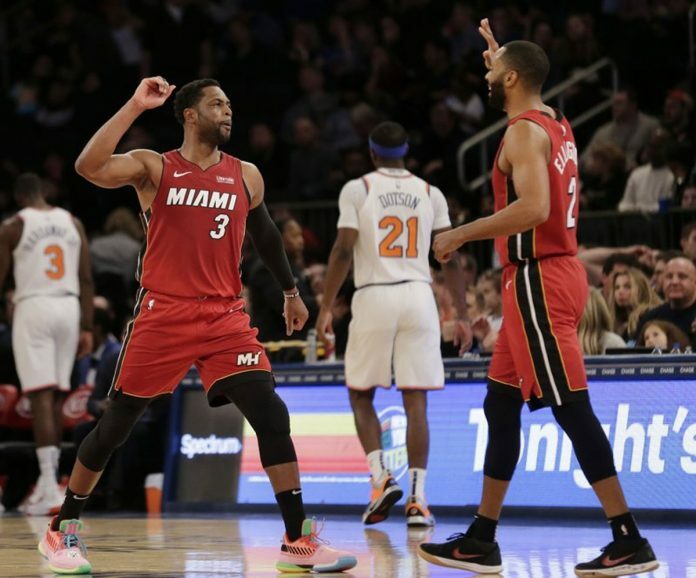 Dwyane Wade swaps jerseys with Tim Hardaway Jr.
Knicks: Damyean Dotson had 14 points. … New York leads the all-time series with Miami 64-57. … Emmanuel Mudiay, the Knicks’ second-leading scorer, missed his second consecutive game with a strained left shoulder. … Frank Ntilikina suffered a groin injury in the second quarter and did not return.